Sure, everyone knows the Old Testament story of Noah’s Ark, and the classic human cleansing tale has been translated to the screen countless ways, from Sunday school cartoon to Darren Aronofsky epic. But what about the animals, man? Yeah, Noah and his family had to deal with the guilt of being the last surviving humans, but what about all those furry and feathery couples who had to find their way to the big boat? Fret no more, for their comedic tale—presumably buried somewhere in Chronicles—is finally being translated to the big screen by Unified Pictures in the studio’s first animated feature. 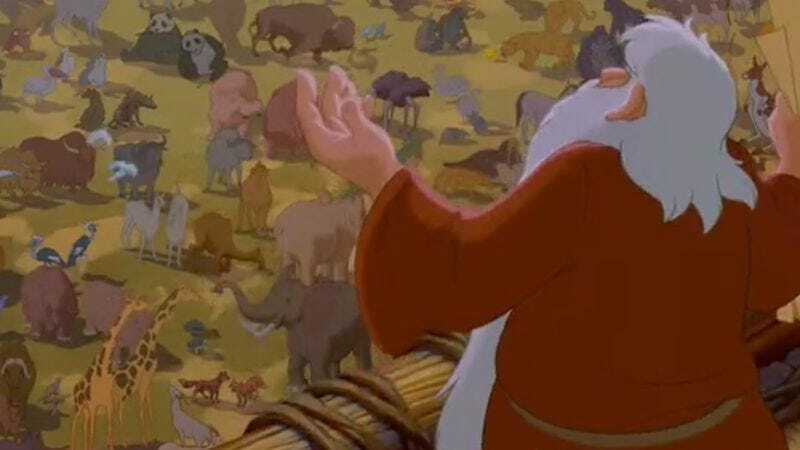 John Stevenson, director of Kung Fu Panda, is set to direct the project, which as of now is simply titled Noah’s Ark. According to a press release, the feature will follow a misfit aardvark named Gilbert as he “becomes the reluctant leader of a ragtag group of misfit animals that need to be led to the mighty ark before the impending flood. Along their journey, they band together to conquer unforeseen obstacles, and ultimately, Gilbert discovers within himself the inner strength and ingenuity to prove that in a world of ‘twos,’ he was truly destined to be ‘the one’”—although presumably this is difficult to prove when speaking with a mouth full of ants. No one from the studio has yet commented on why the project isn’t called Noah’s Aardvark.